The new DigiColor system performs “on-the-fly” job changes of color Delta E. Each of the seven Extended Color Gamut (ECG) inks is split into a darker and a lighter ink, which are mixed in-line to match the targeted Delta E. Closed-Loop color control of DigiColor achieves “digital” color-matching, color consistency at any speed, on any substrate, with any operator worldwide. Converters and brand-owners will now be able to rely on a new “digital” technology to protect their brand identities. Converters will benefit from major time savings and quality improvement benefits. BOBST is also presenting a world premiere for a solution that enables the full traceability of every piece of packaging. In collaboration with ESKO, AVT, Pantone and X-Rite, the new solution allows the “digital” traceability from the original file, to the press, to the job validation and final storage of digital data generated from the final printed job. It is built on the BOBST Digital Flexo technology and combines WebCenter, ColorCert, SpectraLab and PantoneLive assets. 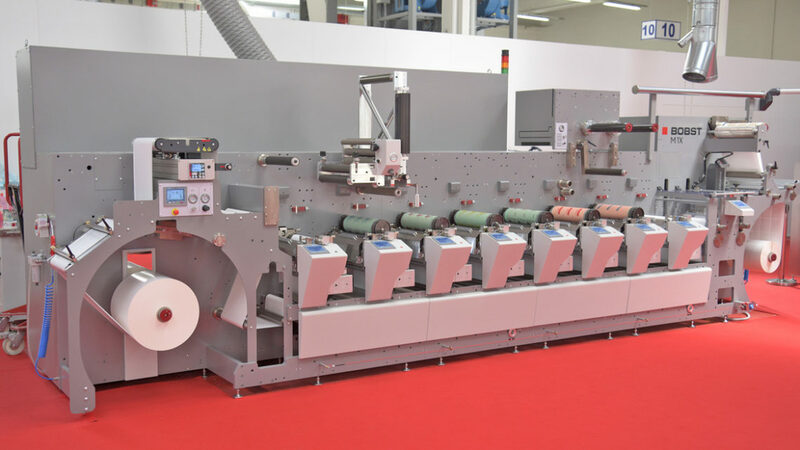 This enables a fully digitalized and connected workflow, transforming the way labels and flexible packaging can be done – timely, with the right quality control and the proper costs.